This month would be Jack Kirby’s 100th birth­day, and though things have been busy for me late­ly, I’m going to try to post some things this month by way of cel­e­brat­ing. Most vis­i­tors here like­ly already know who Jack Kir­by is. I don’t think it’s pos­si­ble to over­state his impor­tance as a comics artist and cre­ator. So many of the char­ac­ters we’ve been enjoy­ing in the Mar­vel films, more often than not, Kir­by either co-cre­at­ed them or flat-out cre­at­ed them him­self. But you can find all that his­to­ry else­where. The point I want to make here is that Kirby’s work mat­tered a great deal to me per­son­al­ly. 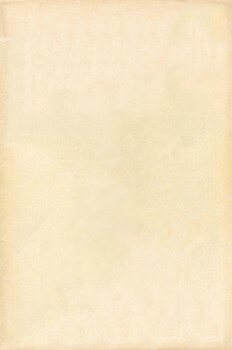 I believe he was the one of the first com­ic book artists who I came to rec­og­nize by his name and his work. When I first came across it, it was pow­er­ful. It was, to my think­ing, comics the way they should be. I went through a phase in high school where I was try­ing very hard to draw like Jack Kir­by. Not the most uncom­mon thing among fan artists back then, but (this is the embar­rass­ing part) my rea­son­ing was that at some point Mr. Kir­by would retire, and there need­ed to be some­one to pick up the baton. I thought (in my naiveté) maybe that should be me. As I said, it’s embar­rass­ing to admit, but I was young, and this shows how impor­tant I tru­ly felt his work was. Of course, I grew out of this phase of think­ing I need­ed to be the next Jack Kir­by (A change I’m sure Jack would approve of). But there are still valu­able artis­tic lessons I picked up from study­ing his work that I can see in my work even today. 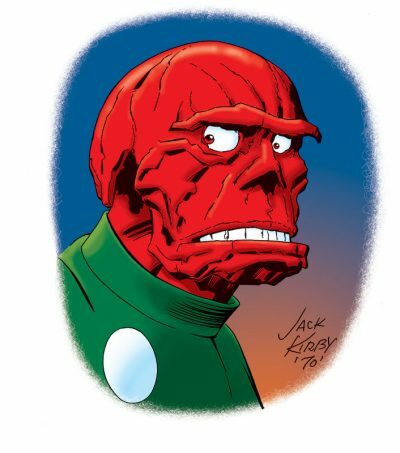 An expla­na­tion of this piece: years back now, a pho­to­copy of a Jack Kir­by Red Skull sketch came into my hands. Dat­ed 1970, as my trac­ing over his sig­na­ture indi­cates. It was clos­er to a lay­out than the full pen­cils we usu­al­ly see, but some­thing about it spoke to me, com­pelled me to take a crack at ink­ing it. I col­ored it for its appear­ance here. I’ll be back soon with anoth­er piece. This entry was posted in Comics, Personal and tagged Golden Age, Inspirational Stuff, Jack Kirby, Marvel Comics, Silver Age. Bookmark the permalink. Odd­ly enough, Mark, for some rea­son I recent­ly was think­ing about Kir­by and his influ­ence. I con­sid­er him to be part of a tri­umvi­rate of top-notch cre­ators of the field, the oth­er two being Carl Barks and Will Eis­ner. No one else could touch them in terms of over­all imag­i­na­tion and cre­ativ­i­ty. I tend to think that you might agree with me on this, and I sus­pect that if oth­er fans would pon­der this a bit, they would also agree. This doesn’t mean that they are my per­son­al favorites, nec­es­sar­i­ly. I trust that I am approach­ing this some­what objec­tive­ly, and rec­og­niz­ing that they were the best in the field. A per­fect­ly fair way to look at it. It’s pos­si­ble to rec­og­nize a creator’s impor­tance with­out nec­es­sar­i­ly hav­ing them as a per­son­al favorite, as that’s a dif­fer­ent thing. I have no quar­rel with peo­ple who aren’t par­tic­u­lar­ly Kir­by fans, yet can still rec­og­nize his sig­nif­i­cance, and his huge con­tri­bu­tions to the field.